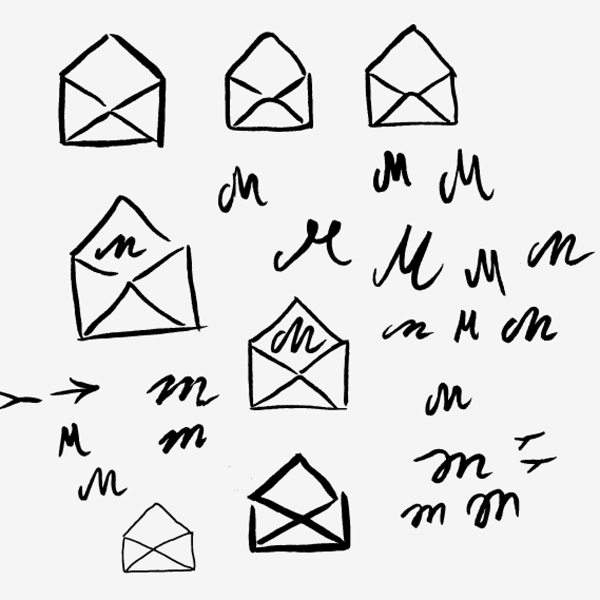 More great press! 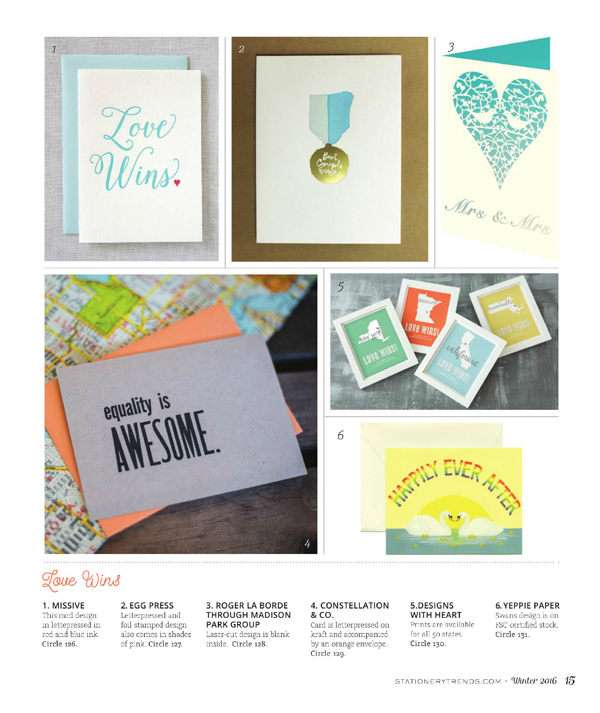 Thanks so much to Stationery Trends Magazine for featuring our Our Love Wins letterpress card in the Winter 2016 issue—we're glad to know that our designs are on-trend! In case you didn't find gifts they'll love at the mall this weekend, we're having a sale starting now that lasts through Cyber Monday! 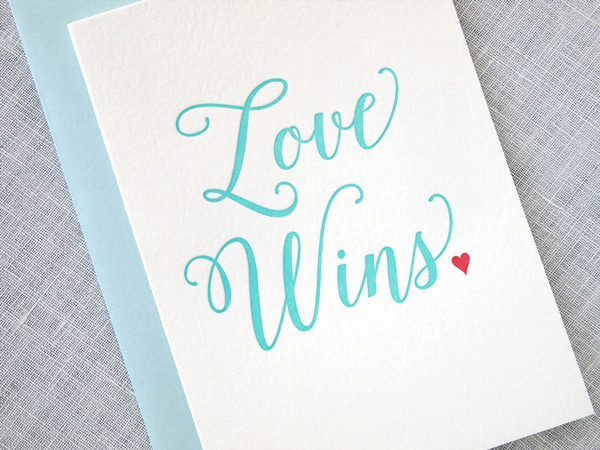 Save 25% on everything in our shop, including custom letterpress stationery and announcements—plus we're giving away a gift with every purchase. 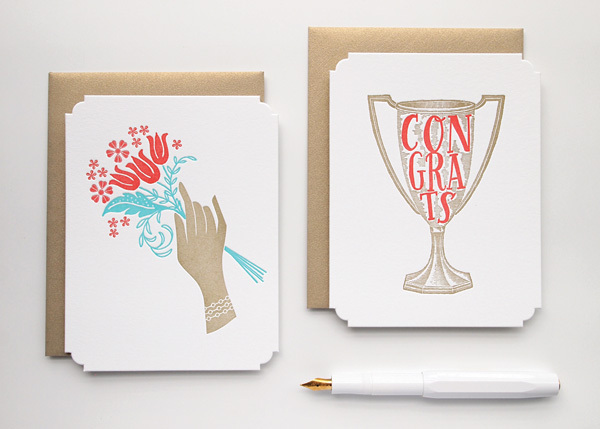 You'll receive a set of our letterpress mini cards, perfect for holiday entertaining, dressing up your table, or topping off a gift. Styles and colors will vary, one set per customer, quantities are limited. Enter promo code SHOPSMALL at checkout to receive the discount. Thank you for shopping small! 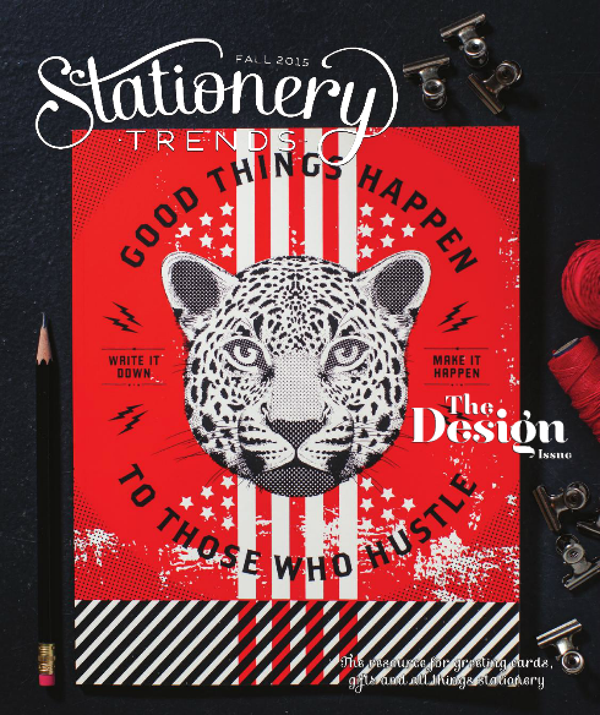 We were delighted to see our new Deluxe Greetings in the Fall 2015 issue of Stationery Trends Magazine. 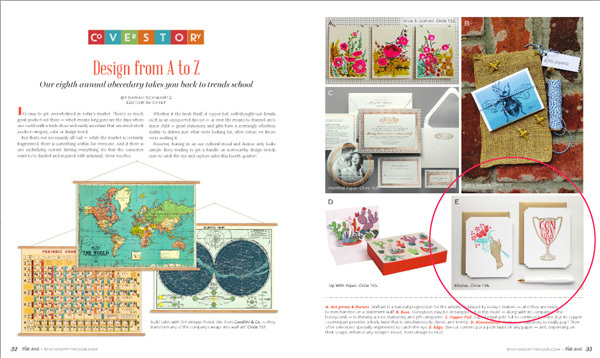 Appearing in their Design A to Z cover story, our "E is for Edgy" die cut cards have a "posh twist" with their unexpected shape. 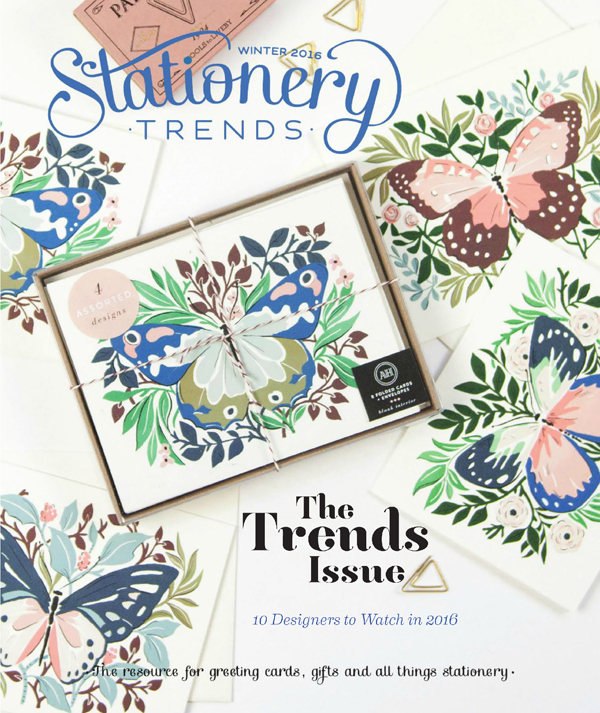 Thank you Stationery Trends for featuring our work!